Come and learn this impressive martial art and witness the internal energy (KI power) that can be developed with a lifetime of dedicated training in Hapkido. 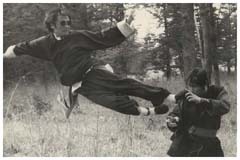 Supreme Master Hwang In-Shik, the legend of Hapkido, has devoted all of his life to training and developing the art of Hapkido. 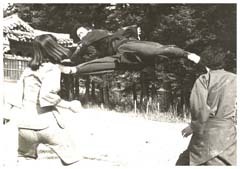 Through his dedication, Master Hwang In-Shik has made it possible for the art of Hapkido to stand out from all the other martial arts. Master Hwang has trained many outstanding Masters and celebrities. 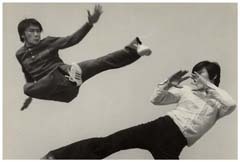 Among them are the famous Jackie Chan and Mao Ying (the lady Hapkido). 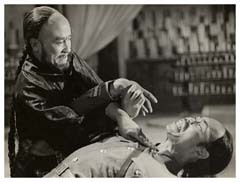 He has also been featured in many martial art movies himself. 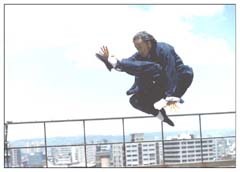 He has made a great contribution to Hapkido and is known all over the world. 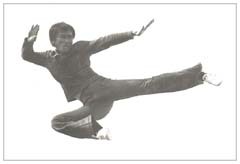 We are proud to have Master Hwang giving seminars and instructor courses aimed at improving the quality of the techniques used by all levels of Hapkido practitioners. He will also explain the connection between internal and external power. You will gain an understanding of the physical and spiritual aspects of Hapkido that allow us to achieve our maximum potential. Currently residing in Toronto Canada, Master Hwang is primarily traveling around the world giving seminars and supervising the Association. For more information on how to enhance your training with the world's leading self defense expert, contact Tom Reed at the World Hapkido Association.